Childish Gambino and Kacey Musgraves had a good night at the “Grammys” last night. Gambino won 4 awards for “This is America”: Record of the Year, Song of the Year, Best Music Video, and Best Rap/Sung Performance. Sadly, he wasn’t there to collect. Kacey also won 4 awards. Her album “Golden Hour” won Album of the Year and Best Country Album. Meanwhile, “Butterflies”won Best Country Solo Performance, and “Space Cowboy” won Best Country Song. Lady Gaga had a good night, too. 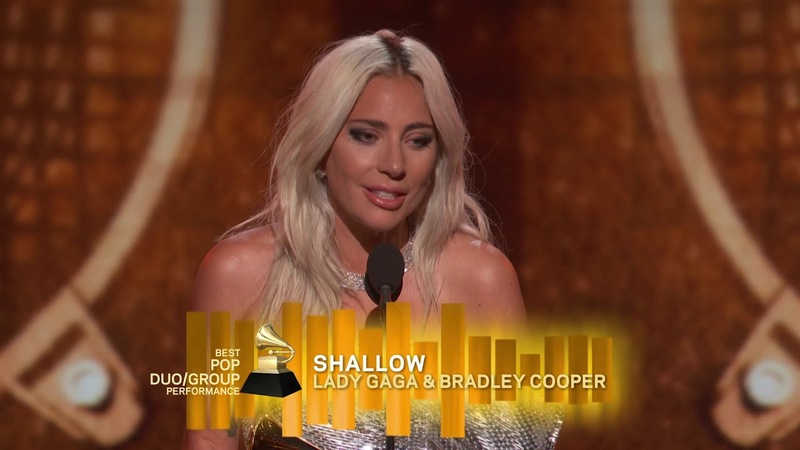 “Shallow”, from the “A Star is Born” soundtrack, won Best Pop Duo/Group Performance and Best Song Written for Visual Media. She also won Best Pop Solo Performance for “Joanne (Where Do You Think You’re Goin’?)”. Gaga also gave a pretty intense performance of “Shallow”. Cardi B’s “Invasion of Privacy” won Best Rap Album . . . oh, and it looks like she and Offset are back together. He was even onstage with her when she accepted. In other results, Dua Lipa won Best New Artist, Greta Van Fleet won Best Rock Album, Chris Cornell won a posthumous award for “When Bad Does Good”, H.E.R. won Best R&B Album, and Beck won Best Alternative Album. And host Alicia Keys kicked off the show with some mega-girl power. She brought out Lady Gaga, Jada Pinkett Smith, Jennifer Lopez, and Michelle Obama who got a MASSIVE ovation. Meanwhile, DRAKE got cut off while accepting his award for Best Rap Song for “God’s Plan”. Coincidentally, or not, they cut him off right after he told the audience that they DON’T NEED GRAMMYS to be winners.